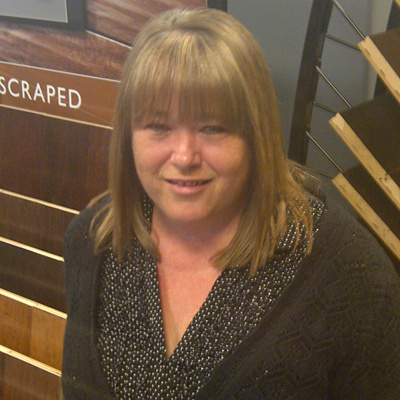 Carla Parenteau joined the Vinton Centre Carpets Team in 1998 as a receptionist; Carla progressed through hard work and commitment to become the Operations and Installation Manager. Bringing to the table her decisive and fair decisions she is well respected within the flooring industry and at the company. Carla’s vast experience in solving commercial, residential and installation concerns has her assuming many hats however her expertise is concentrated mainly with our New Home Builders. Carla also has her certified safety designation of OHS Occupational Health and Safety for the Alberta Construction Safety Association and is responsible for Vinton Centre Carpets safety practices and daily arranges, designates and delivers a high level of satisfaction to everyone involved.